So my wee one did the “random” bit for me(whilst I hovered like a hawk so he didn’t crumple any pages. Why I thought it was a good idea to let him near the book I don’t know, I am sure I have aged about 5 years! 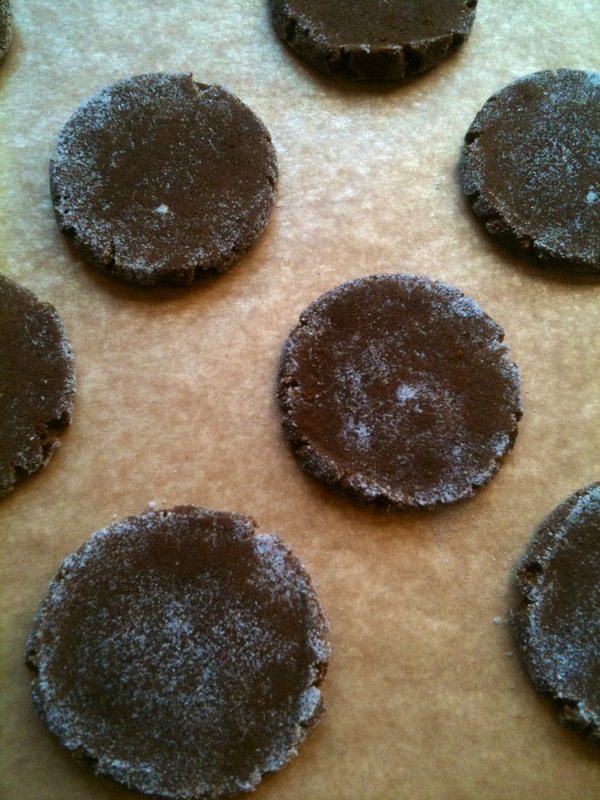 So here go, this recipe is super easy and oh my word the smell whilst baking(& end result) is amazing! Thank you small person! You start by creaming butter and sugar together. The add in the egg, molasses(or black treacle if you are like me) ad mix again. Finally you gradually mix in the flour/baking soda/spices(Dorie includes in the recipe to use a “pinch” of black pepper, well my boys like spicy peppery so I ground up some and put in a pretty big pinch!) and mix taking care not to overwork anything! You are left with a soft dough, which needs chilling down in either the freezer(30 mins) or fridge(a hour or until you want to use it). 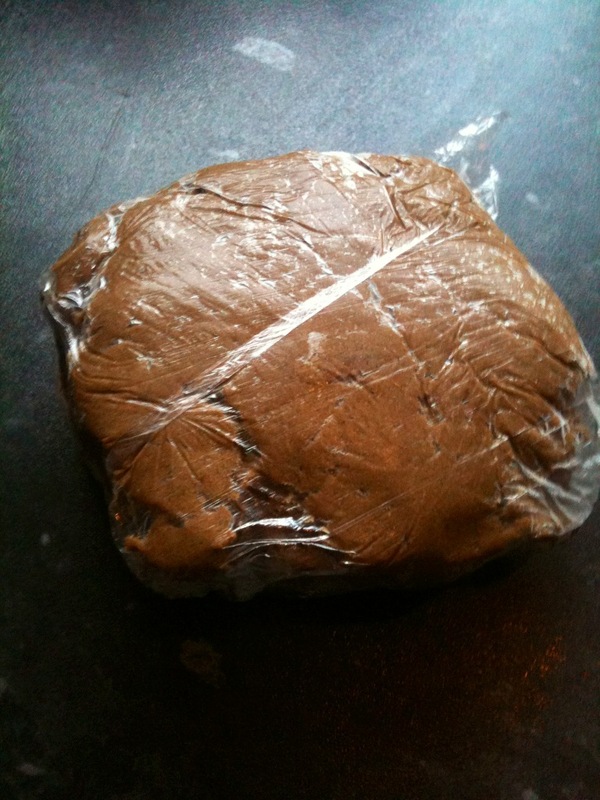 Here’s my dough all wrapped up and ready to go into the freezer, yes, I am impatient! 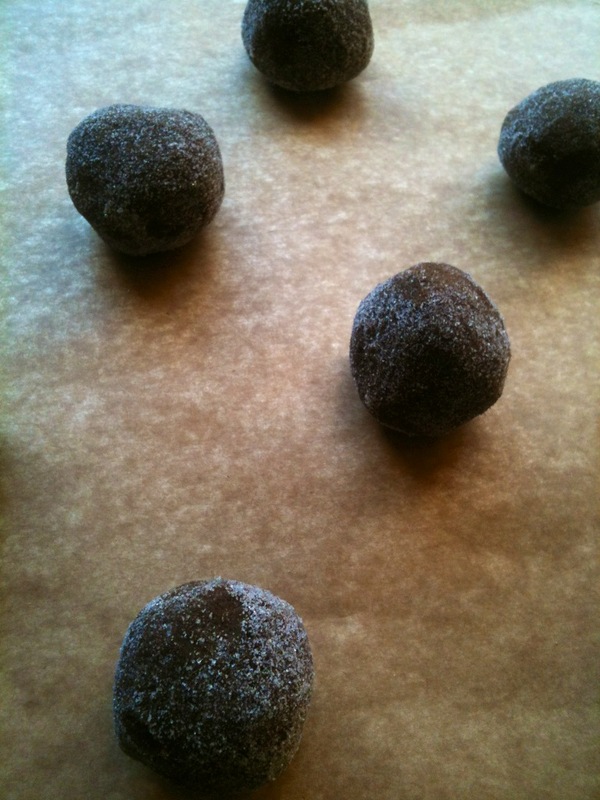 take your cookie dough and roll into balls, sugar them and place on your baking sheet. I really would recommend doing the whole tossing the cookie balls in sugar then flattening to bake, makes for a nice crunchy exterior, totally worth the faff in my book! Please ignore the photo of the flattened dough, well, in as much ignore the amount on the sheet! Ms Greenspan reckons you’ll get about 12 on a baking sheet, which I have to say is optimistic, I only managed 5 or 6(walnut sized balls, then flattened to discs about 3 inches across) as they seam to spread quite a bit, you don’t need to see the photo of my first shot at it. Suffice to say it was one big sheet of spicy cookie! So don’t be me, give them plenty of space to “grow”, unless you like HUGE cookies in the shape of a rectangle, as is your wont. I love this recipe! it is easy to follow and makes loads of cookies. 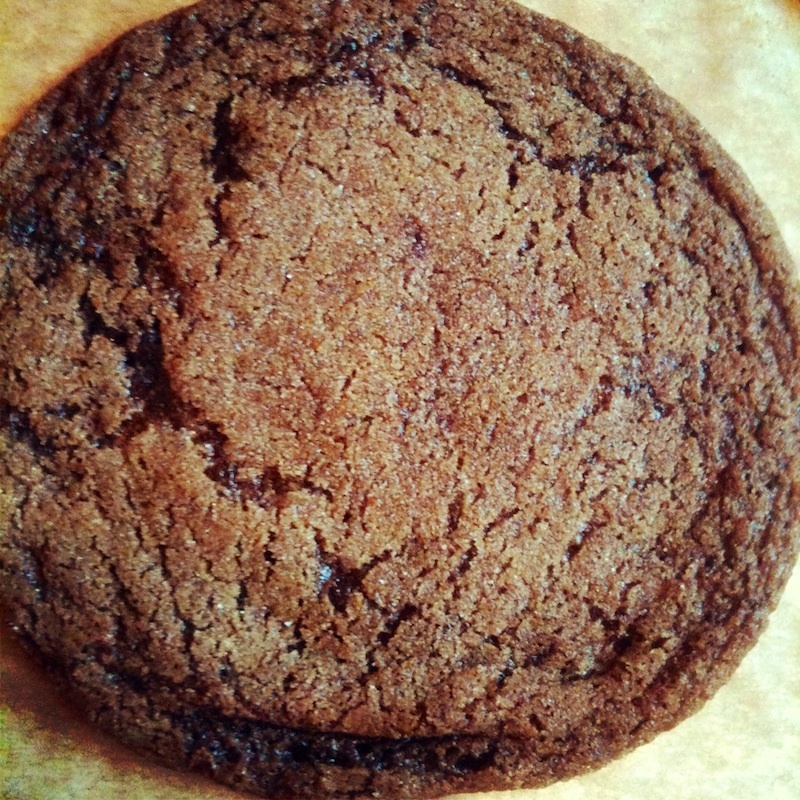 And the end result, is a spiced cookie, full of peppery, gingery fire with a real depth, crunchy and crisp that seem to me to be even better the next day. Go forward, bake and enjoy! they just look so perfect and so adorable… I can just imagine myself making these this weekend… a lovely random recipes pick and a great entry, thank you so much … such a lovely post and a great story! Thanks for the comment Dominic! Loved my first Random Recipe, has definitely whetted my appetite for more! Yummy – these look so good and I can just imagine that fabulous smell. This may just be yet another book I need to add to my collection!